It is absolutely divine. I actually adore the colour it is such a subtle pinky shimmery sheen - It's too dark for me to get a good swatch (believe me i tried!) so I will do it tomorrow. But it is beautiful. I only own a mineralize skinfinish in medium which I buff into my face - any tips for application ? I thought I would use my GOSH fan brush. Good/Bad idea? I really need some tips guys. 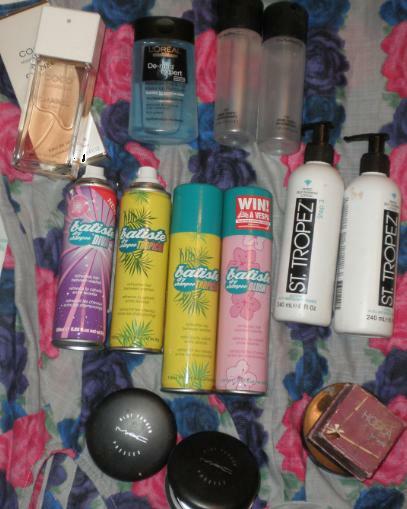 I also won two more mineralize finished from Lollipop26 and Zoella's blog sales ! EXCITED! I have seen this on a few blogs so I thought I would tell you guys the products that I swear by and always always repurchase. Top left - Coco Madmoiselle perfume - This scent is just 'me'. It's not too overpowering or 'womanly' - perfumes I'd associate with mothers or grandmothers! It's like a younger, fresher more subtle version of Coco Chanel, it's not too strong it just leaves me with a very classy and slightly sensual scent. The best thing is that it is suitable for day and eveningwear. Top middle - L'oreal De maq make-up remover. This stuff is the only thing that really gets off all the mascara that I wear every day! It doesn't sting and it isn't oily/greasy it feels fresh on your face and leaves no residue. You don't get lots in a bottle so it doesn't last that long but NOTHING else removes my mascara! Top left - MAC fix. This stuff is amazing. 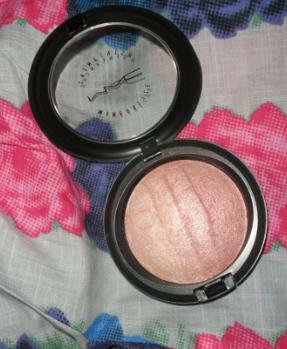 The MA at MAC used it as a make-up remover (which I don't do - but it adds to it's multi purpose-ness [not a word but hey]) but I often use it before I do my make-up as it instantly cools you down and refreshes your skin and locks in moisture and I use it again after I have finished my make-up to 'set' it and it really makes it last longer. Finally, you can use this throughout the day just to freshen your make-up. Middle - BATISTE!! - Loads of bloggers have mentioned this but I literally swear by it, I use it every single day. I use it immediately after I wash my hair as it gives volume and makes it easier to style as it gives it texture. These four bottles are just how many I have in my bathroom now - I always pick up at least two or three whenever I go into Boots. It's the best dry shampoo by a million miles and it's cheap! Middle right - St Tropez - I always have two or three bottles of this as it is my 'HG' fake tan. 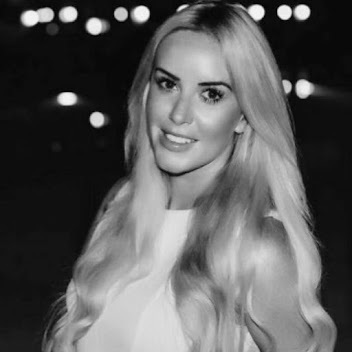 I find that if you mix it with another fake tan (it can be any, a cheap supermarket brand one, dove natural glow - anything) then you can justify the price slightly more as it lasts much longer and you often get a more natural look. 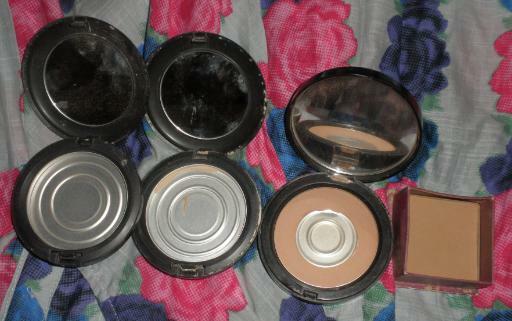 - Mac 'Blot powder' in medium/dark (first two products) - I used to use rimmel translucent powder but by the end of each day or a night out I would look horribly cakey and powdery - it was not a good look. Then I found this product in January and have not used anything else since. A little goes a long way and it instantly absorbs any excess oil and stops shine without leaving ANY trace of colour on the skin and no horrible powdery residue - basically it's amazing. 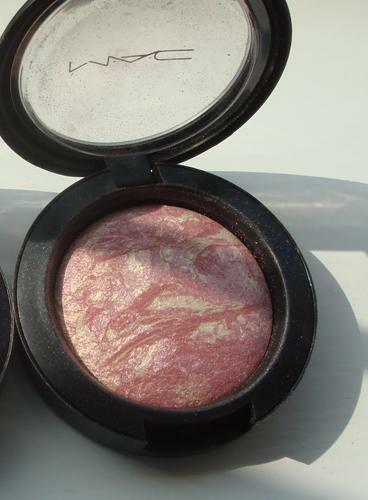 Bobbi Brown Bronzer medium - I love this bronzer. As you can see I have already hit pan on it! I have been using this for about 4 years now and even though I occasionally fall out of love with it I do always come back to it. Benefit 'Hula' - This is a really common popular bronzer but I find using this all over my face gives me a really great colour. I don't really use it as a contour or on my cheeks I use a big powder brush and sweep it all over my face. 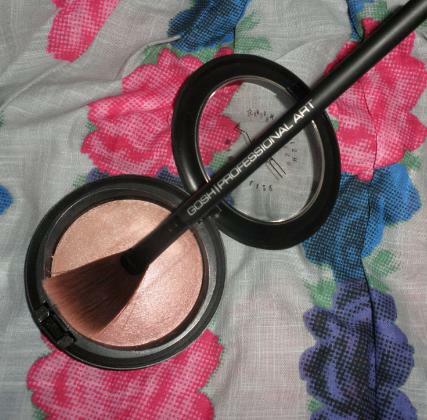 It really is one of those very few bronzers that actually maks you BROWN - not orange. 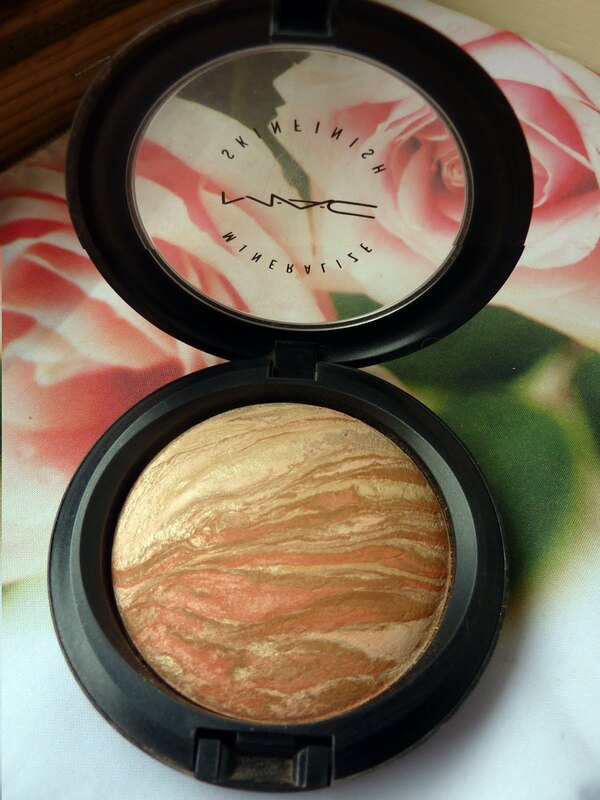 I find it almost impossible to achieve an orange colour with this (you can go orange with the Bobbi Brown one! ).